This year my son entered Kindergarten. This means that I now get to hear on the daily about all of his new found friends. So, I thought we should have a friend birthday party this year, that way I could get to know some other parents and the kiddos I hear about so often. 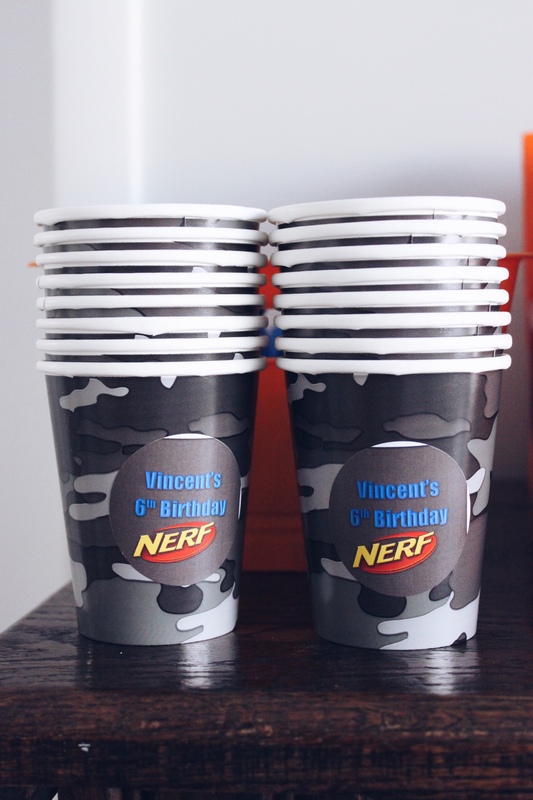 When I asked my son what theme he wanted he instantly replied with “A Nerf birthday party” So, I did my due diligence and got to work on Pinterest. I found so many great ideas. Since, I couldn’t make all of them a reality I chose the few that I thought I could pull off. 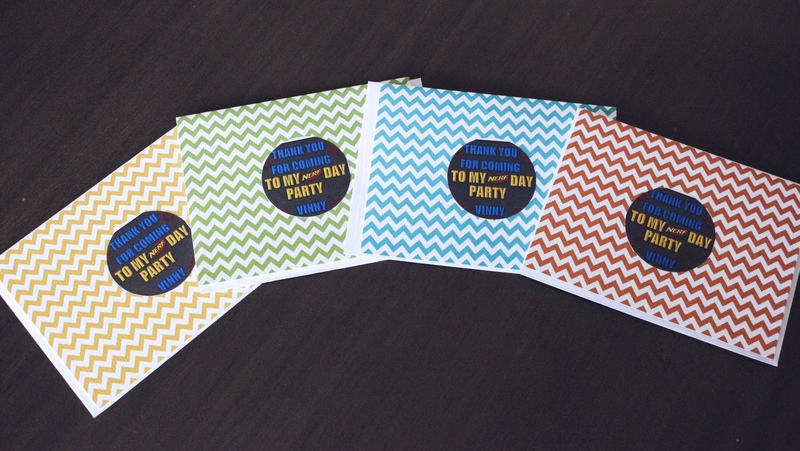 I am all about making my own printables. 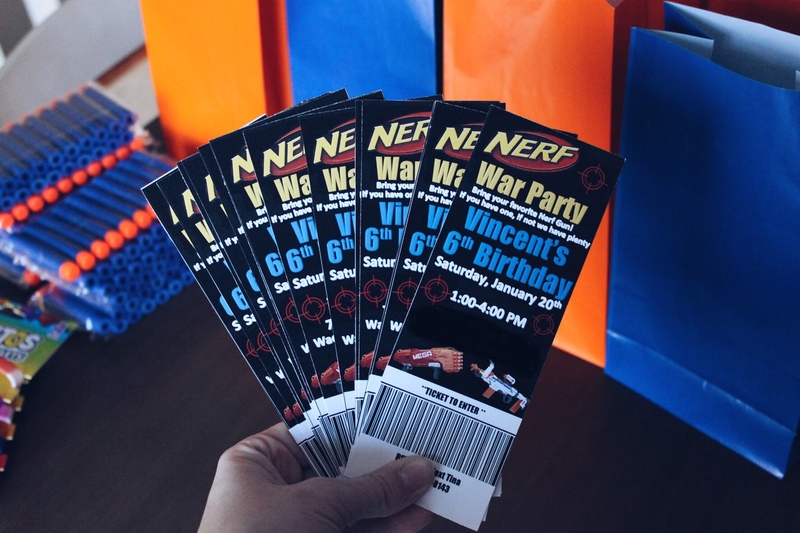 So, I created Nerf party “ticket invitations”. Each kiddo got a ticket for the event. They were all pretty excited when they came to the party with a ticket in hand. 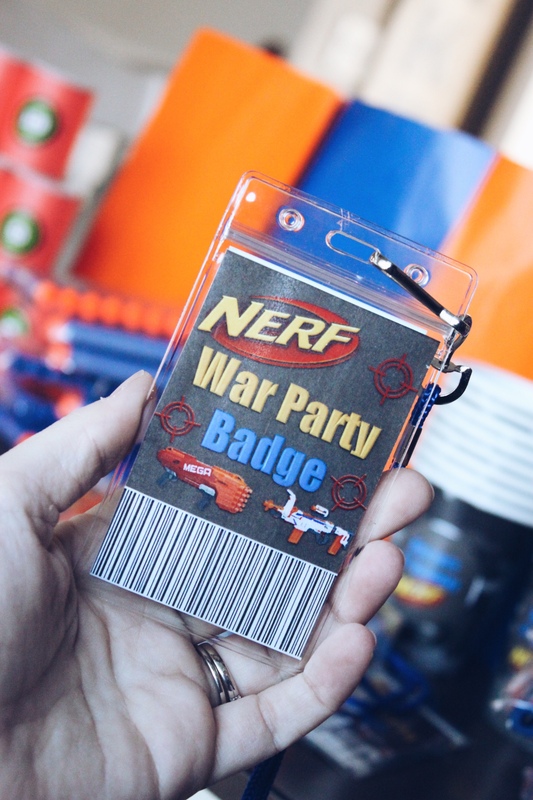 Another printable I made were the Nerf War Badges. Each kiddo had their own badge to enter into our barn which is where we had the Nerf war at. The kids loved using the box fort as base during the war. My husband sells large tool boxes so he and my son use the empty boxes to create box forts. 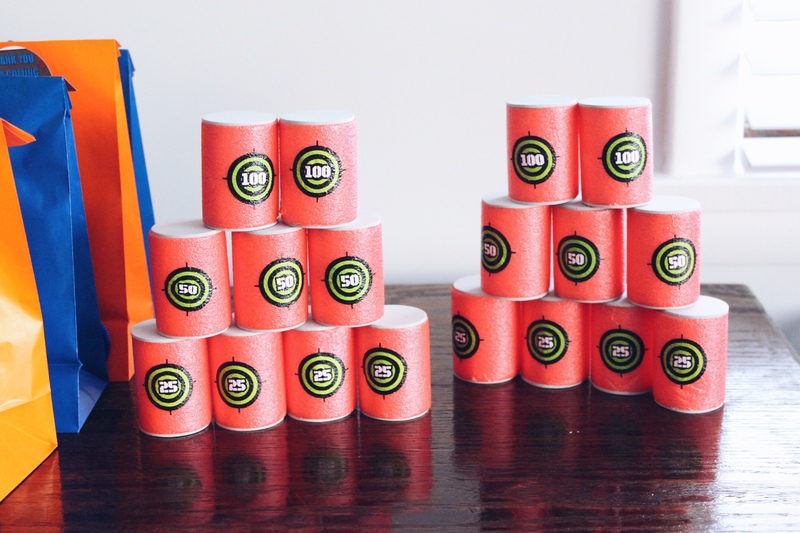 I also made some sticker labels to put onto cups and the thank you cards. It saved me a fortune making these myself. Instead of going to a party store, I ordered the rest of my party supplies on Amazon. Why shop around a store when you can have everything you need delivered to your front porch? The vest was something a little extra to make my son feel special. I ordered the cupcakes from our local bakery. 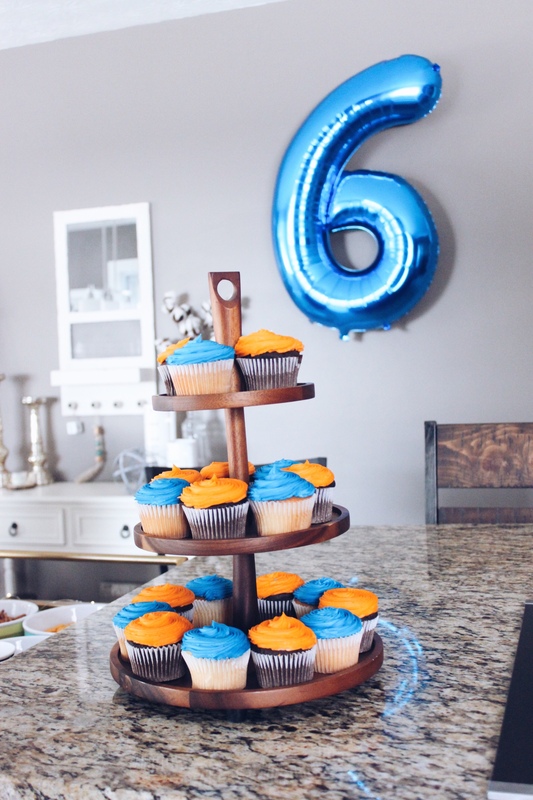 It was super simple to just order blue and orange frosting and it totally went with the theme. 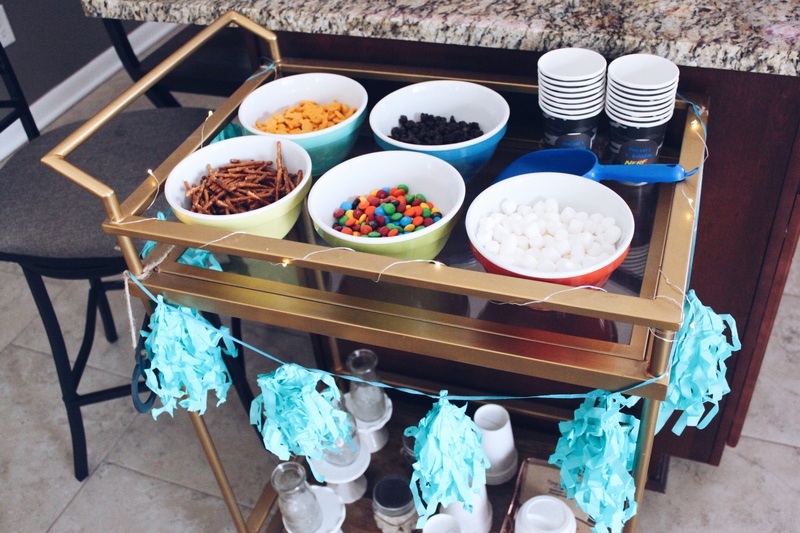 I pull out this three-tiered cupcake stand for all of our parties. 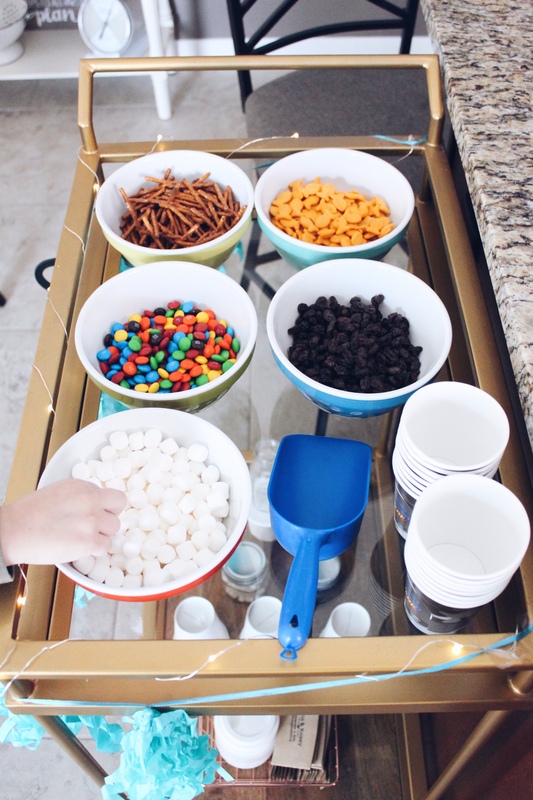 Another thing we love to have at our parties is a trail mix bar. Kids absolutely love it and it offers a mix between healthy and sweet options. We had a nut allergy at this party so we avoided peanuts. By the end of the party everything with the exception of the raisins were gone. Go figure, right!? 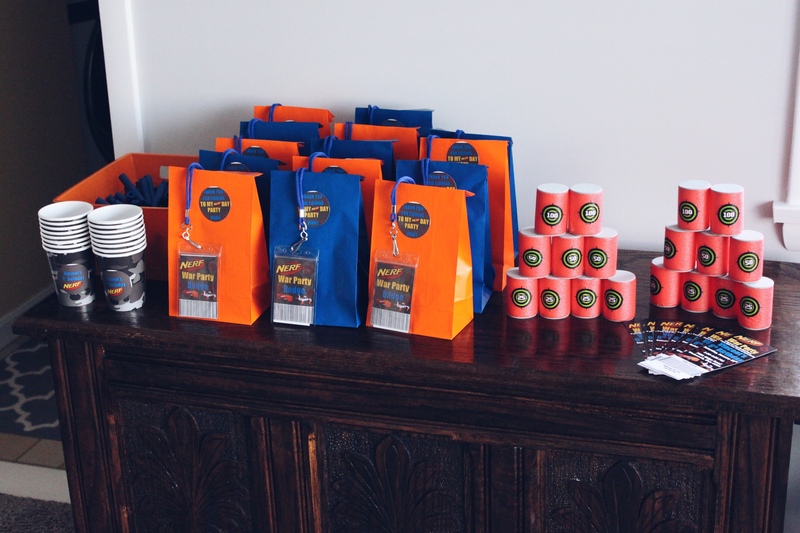 The party was a huge success and the kids had a great time. I only got a bullet to the face once, so no complaints from me. 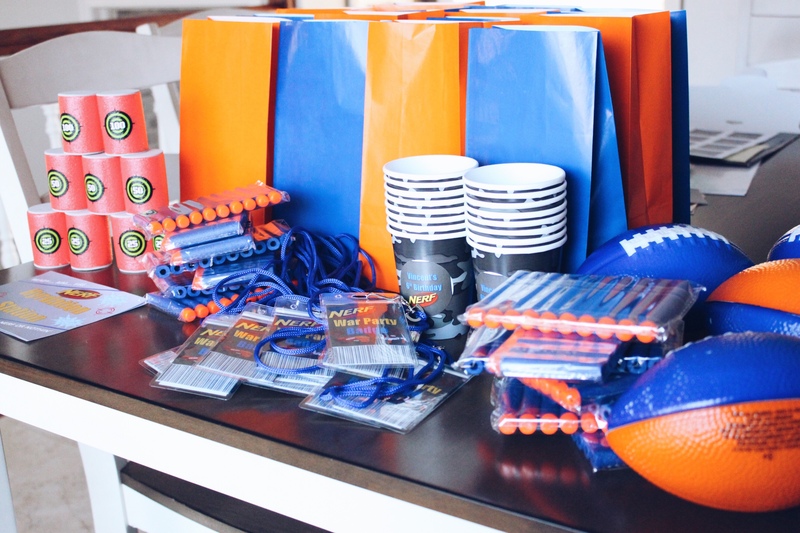 If you’ve had or plan to have a Nerf party in the future, share your experiences in the comments below. 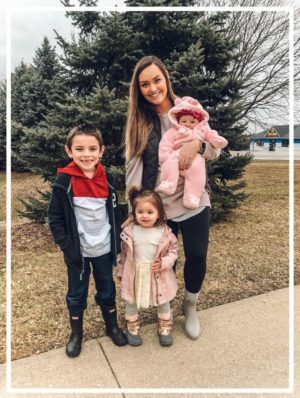 I would love to make this a tradition for the kids. 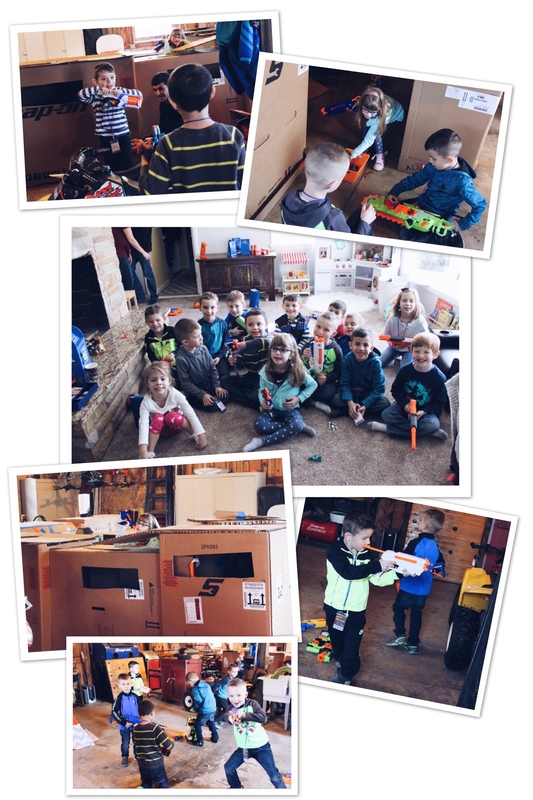 I think Nerf wars is something they will enjoy well into their older years.